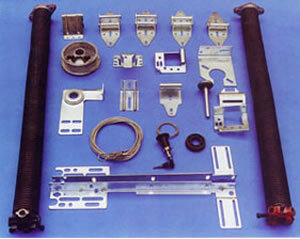 We supply various hardware boxes to suit most sectional doors. These can also be custom made and packed to your desired specifications. The door parts factory in China is a contract supplier to OMI Industries which is the world's largest door hardware manufacturer and supplier. 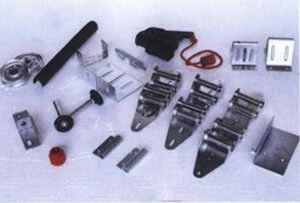 We also supply other sectional door hardwares such as tracks, guides, support brackets etc in a complete set kit to suit your door panels.